This year, the CDC claimed that poor sleep was a health crisis in the United States! And, chronic sleep deprivation is not affecting just adults — our kids are getting much less sleep than they should be. For kids with special needs, poor sleep is an even bigger struggle. For kids diagnosed with Trisomy 21, ASD, ADHD/ADD, and cerebral palsy, anywhere from 40-80% of these kids struggle with sleeplessness. This can very negatively affect brain growth and development, and overall health for these kids. This week, a study was released saying that gastrointestinal issues in adolescents can also have a big impact on mental health and brain growth. Our digestive system is the home of hundreds of millions of neuron cells! This allows the body to efficiently get rid of waste so the brain can do more sophisticated work. When there are foods going through the digestive tract that our bodies cannot handle, it will definitely cause short-term discomfort. However, poor diet can lead to chronic problems like constipation, leaky gut, behavior issues, and sleeplessness. Gut function and sleep are very tightly knit! When the digestive system is working adequately, you’re much less likely to have sleep disruptions. If you’re getting a great night’s sleep, your body’s able to keep hormones in balance and keeps digestion in rhythm, too. The gut and brain can do their jobs without meddling with each other! If your child does have digestive issues, eliminating sugary foods, caffeine, and highly processed snacks is a great place to start. It helps to reduce digestive inflammation and does not hype up the brain before sleep. Taking these foods out can improve behavior. For kids with hyperactivity and sensory issues, eliminating these foods can help them to calm down. In addition, the reduction of dairy and gluten can help both digestion and sleep. These foods are very difficult for our bodies to digest and are the common causes of constipation, leaky gut, and constant stuffy nose. For any child with breathing issues, too much of these foods can aggravate symptoms. For many children with Trisomy 21, breathing problems can greatly disrupt sleep. So, taking these foods out will help keep airways clear. Keep track of changes and progress! It’s important to keep a log of what your child eats and their sleep quality. This will be much easier for you to see what’s working, and to see what are possible trigger foods that cause digestive or sleep disturbances. This is a great way to see progress and improvements that last! If you’ve made these above changes and digestive function is still not great, I recommend finding a naturopath or homeopath to help you further. It’s amazing what a few changes can do for overall health! These are the changes that time after time, parents are happy with the ultimate results. Making some of these simple changes not only make for a happy belly, but a happy, well-rested body, too!  If your child with special needs struggles to sleep well at night, I can help! Book your first assessment call to learn more. PrevPreviousWhat’s Happening in the Brain While We Sleep?